Ever lost that precious pin from a rally or ride? Here is the answer. 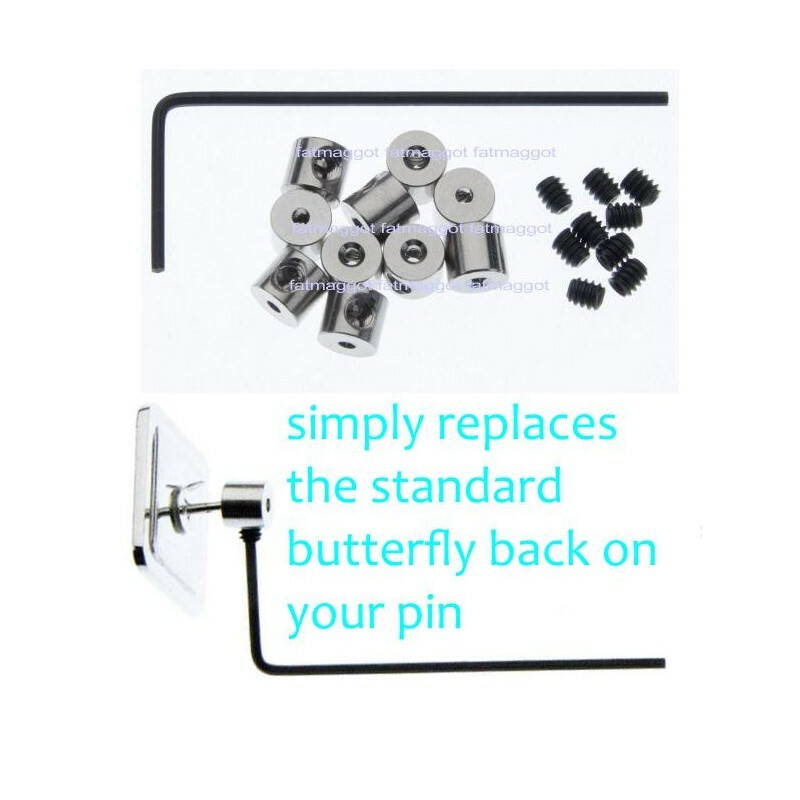 Pin Locks simply slide over the pin itself and then lock on. 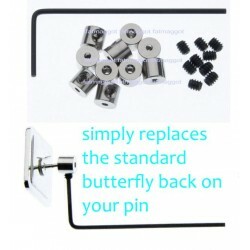 Butterfly clips can overtime work loose, especially when going through thick leather. 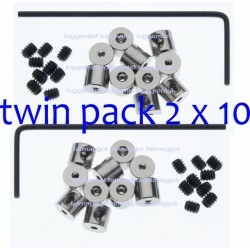 We have sold thousands of these Pin Locks and they come highly recommended by bikers, veterans, scouts and even the W.I.